20 years of saying, “Yes!” Yes, I see you. Yes, you matter. Yes, I believe you. Yes, you are stronger than what you've been through. Yes, you will get better. This is how Gingerbread House Executive Director Jessica Milan Miller sums up 20 years of bringing healing and hope to children who have been abused in our Northwest Louisiana community. And yes, it is the reason the Gingerbread House Children’s Advocacy Center (CAC) invites you to celebrate with them Tuesday, Oct. 23, at noon as the Ballengee Foundation, in partnership with Horseshoe Bossier City, presents the “Partners in Prevention” 2018 Gingerbread House Luncheon with keynote speaker, child abuse survivor and author of "A Child Called ‘It’” Dave Pelzer. Children’s advocacy centers like the Gingerbread House help children heal from abuse while holding offenders accountable. In the 20 years the Gingerbread House has been in existence, over 10,897 child abuse victims have been directly served by the organization. Statistics from National Children’s Alliance show that children’s advocacy centers save their communities as much as $1,000 per child abuse case by streamlining the process, creating efficiencies and providing effective services. 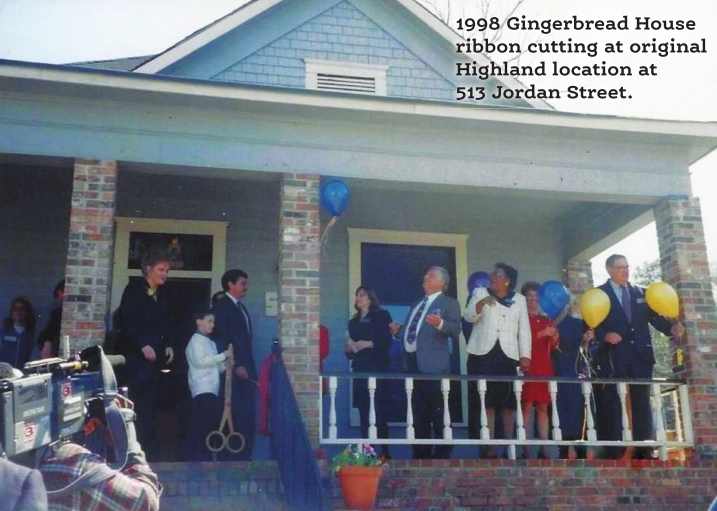 By this conservative estimate alone, the Gingerbread House has saved the Northwest Louisiana community over $10.9 million since opening our doors in June 1998. The Partners in Prevention Luncheon is the major annual fund-raiser for the Gingerbread House, ensuring that all services continue to be provided free of charge for child abuse victims and their families. Funds raised at the luncheon are used to support the comprehensive Child Advocacy Program for child abuse victims, which includes forensic interviews, child life, family advocacy and counseling services, as well as prevention education for children and adults, and professional training in our community. Unrestricted funds raised at the luncheon are also used to leverage additional funding by serving as a match for several grants that require a local cash match. Over 850 child abuse victims and over 26,000 children and adults in our community benefit from the funds raised at the Partners in Prevention Luncheon every year. Children need someone to show them they are not defined by what has happened to them,” said Jessica Milan Miller, executive director. “So many of the children and families we serve have been through so much that they feel overwhelmed by their circumstances. Children who have been abused have often been betrayed by those they trusted most. We are here to help them overcome. From victims to survivors ... that is our guiding principle. Your ticket, table or donation ensures that we can continue to Help the Hurt,” emphasized Miller. Holding child abuse offenders accountable for the harm they cause is an essential part of the work of the Gingerbread House CAC. In the 20 years that the Gingerbread House has been in Northwest Louisiana, prosecution rates have gone from less than 5 percent successful prosecution to over 97 percent successful prosecution. This is especially important to those prosecuting the offenders. By sponsoring a table or purchasing tickets to the Gingerbread House’s 20th anniversary Partners in Prevention Luncheon, you are committing to helping make Northwest Louisiana a safer place for all of our children. Your purchase of a $125 ticket, a $1,500 table for 10, a sponsorship of $1,500, $3,00, or $5,000 or a charitable donation in any amount helps fund preventive programs that reach over 25,000 children and adults annually in the hope of preventing child abuse. Waynette Ballengee, a Gingerbread House board member and passionate supporter of the organization for the past 13 years, is involved with many nonprofit organizations across Northwest Louisiana and actively advocates for support of the Gingerbread House and its “Partners in Prevention” 2018 Gingerbread House Luncheon. 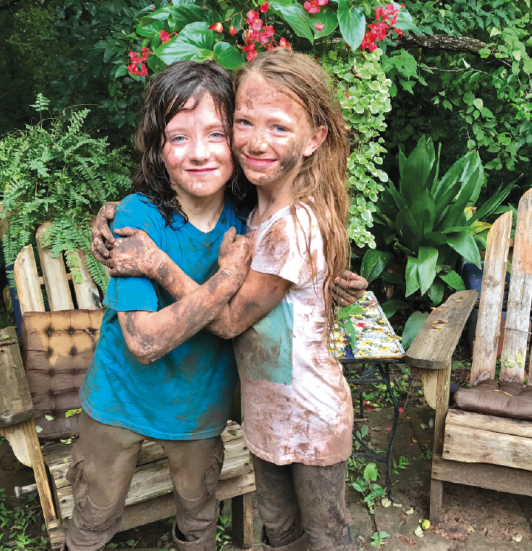 “As a children’s advocacy center, the staff at the Gingerbread House deals with one of the most difficult issues facing our society: childhood abuse – both sexual and physical. The Gingerbread House provides education, acceptance, love and most importantly, hope for the children who are suffering most. Child abuse does not discriminate. It affects children from all walks of life, all races and socioeconomic situations. It affects children whom we all know," says Ballengee. "Of all the nonprofits I support, the Gingerbread House is the one that you can't argue with me about!" adds Ballengee. For the past six years, the Gingerbread House Partners in Prevention Luncheon has featured guest speakers well known for their personal stories and their work in the area of child abuse, including Elizabeth Smart and John Walsh. This year’s keynote speaker, Dave Pelzer, has an equally powerful story as a survivor of an extreme, life-threatening childhood in what has been described as one of the worst cases of child abuse in California’s history. 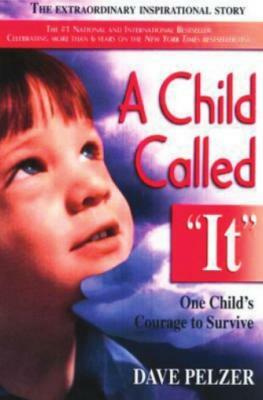 In his New York Times bestselling book, “A Child Called ‘It,’” Pelzer describes how his mom starved him, forced him to drink ammonia, stabbed him, burned him and even forced him to eat his own vomit. The abuse continued until Dave’s teachers stepped in when he was 12 years old, and in 1973, Dave was sent to a foster family. For over two decades, Pelzer has dedicated his life to helping other victims of child abuse. To reserve tickets for the Gingerbread House Partners in Prevention Luncheon, sponsor a table or become a $1,500, $3,00 or $5,000 sponsor, call 318-674-2900 or visit www.gingerbreadhousecac.org.